I have a bit of a rant about secondary infertility coming your way soon (I guess you’ve been warned!). But I’m not really in the mood to polish it off today, if you know what I mean. I thought I’d give you some up-to-the-minute updates instead. More fun, right? Stephen is coaching cross country this year. He’s in charge of the high school boys, and his schedule is going to be insane. So, Ada and I are getting a head start on our return to the fall routine. Here’s a bit from our morning. I’ll probably elaborate on some of these things in other posts. Especially the command center. I cannot wait to see if this helps us stay organized this year. 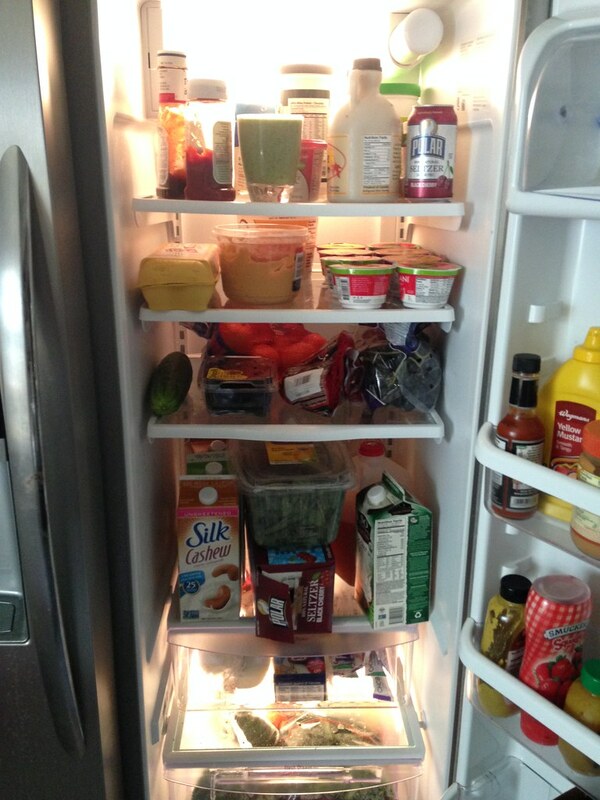 #1: We filled the fridge with food. From Wal*Mart. I haven’t shopped there for groceries in ages, but since I was on that side of town, I thought I’d try. Wow. Not impressed with prices. Even Wegmans has them beat on a lot of stuff. The yogurt might be better priced, though. I got all the watermelon Chobani I could carry. 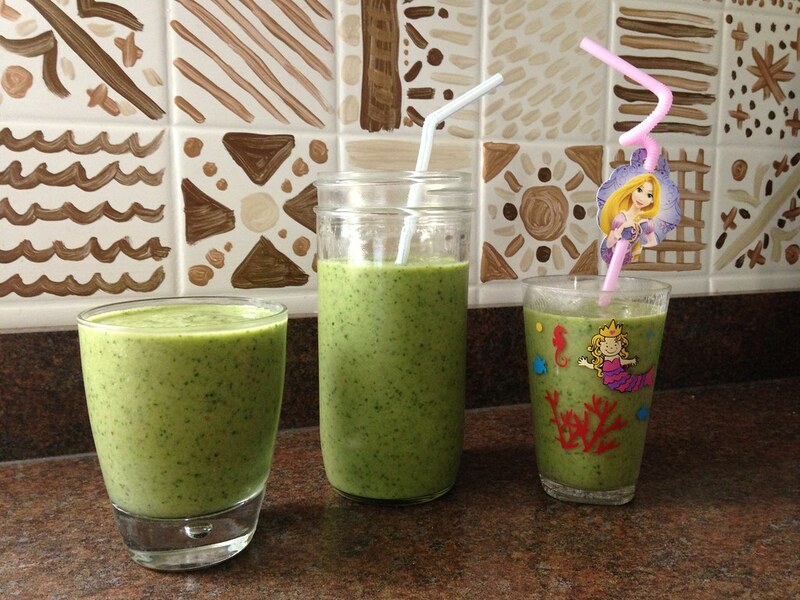 #2: I made a green smoothie big enough for our whole family. I’m sipping the tall one right now! 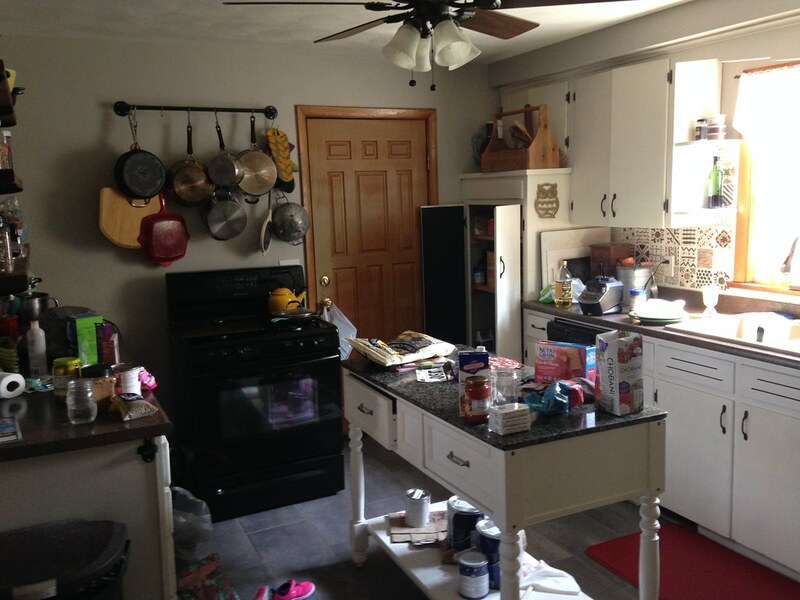 #3: We’re created a command center. I’ll try to snap more detailed shots once we actually put stuff on there. I’ve seen these on Pinterest for years. 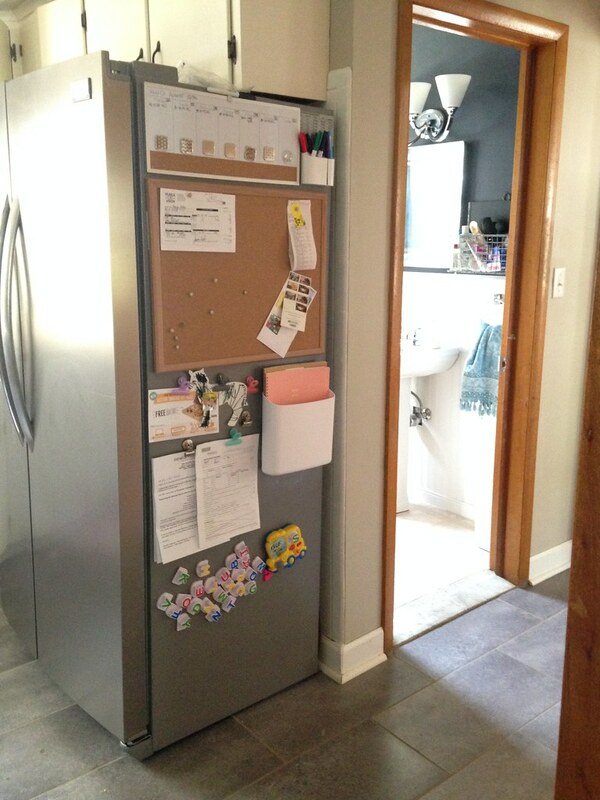 I want to organize our activities, meals, bills, obligations, and everything else on here. I went to Target and picked up a whiteboard weekly planner, a large cork board, and some magnets/pins/pens/etc. My favorite part? The magnetic container. It’s the Biggy Perch by Urbio! When I looked it up online, I discovered that people use Urbio containers to make indoor gardens. Really cool. #4: I’m making a fresh batch of laundry detergent. 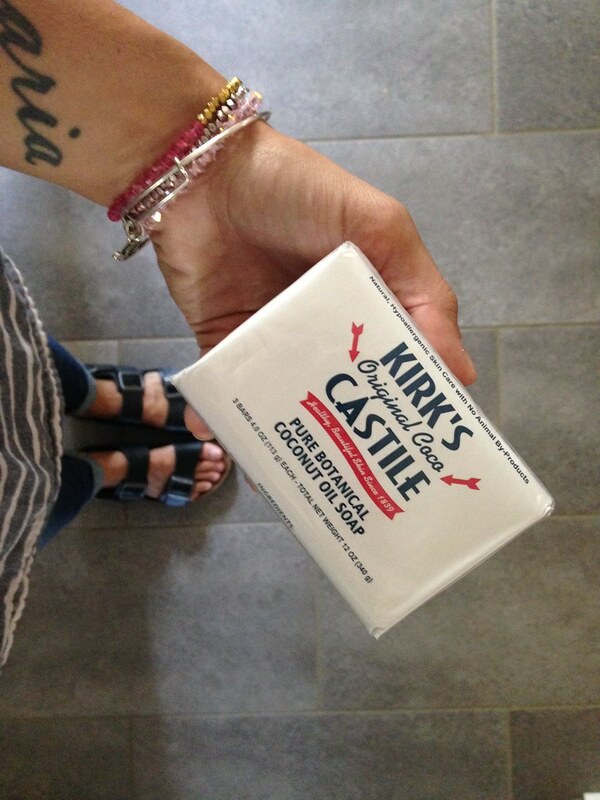 I haven’t used Kirk’s Castile before, but I couldn’t find any Dr. Bronner’s on my search this morning. If you haven’t made your own DIY Laundry Detergent yet, you really should try. It’s changed how we wash our clothes. Less crap in the water and WAY, way, way cheaper. Yeah. I think it’s time for me to hop off and go clean this monster. I have a lot of cooking I want to do. I need to make a new bulk batch of Veggie Burgers to freeze. I’m getting ready to simmer the season’s first pot of Homemade Applesauce. And I’ll probably make a good number of Freezer Waffles for our busy mornings. Yeah. We’re slowly getting back into the swing, and it feels good. What’s on your back-to-school to-do list?